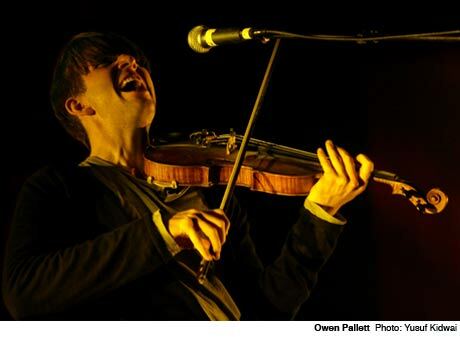 It's been a whirlwind year for Owen Pallett. The Polaris Music Prize winner released his first post-Final Fantasy album, Heartland, toured the hell out of it and managed to clinch fifth place on our Pop & Rock Year in Review. He followed it up with A Swedish Love Story and now a free EP. Pallett's new EP is called Export and features eight tracks. Among them are what Pallett describes as "demos, covers, instrumentals and miscellany." The songs are entirely instrumental, save an appearance by My Brightest Diamond's Shara Worden, who lends her voice to "Export 2 (Midnight Directives)." The full EP can be streamed or downloaded via the SoundCloud widget below. As previously reported, Pallett also composed 14 mini-scores for the New York Times Magazine's "14 Actors Acting" feature. The full piece is available online now, and can be viewed here.